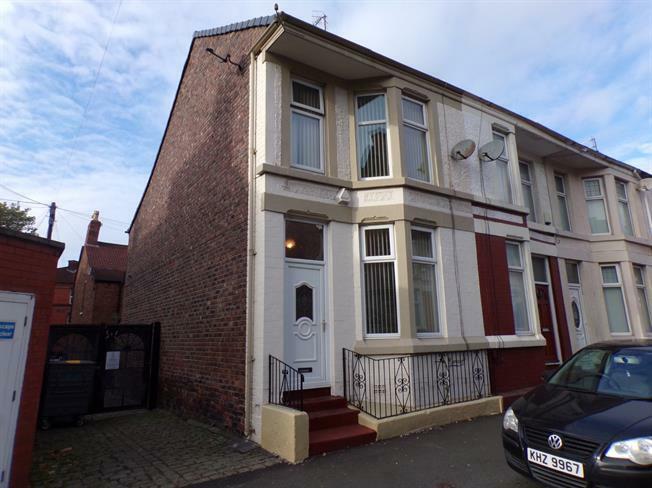 3 Bedroom End of Terrace House For Sale in Liverpool for Offers in excess of £175,000. Entwistle Green are offering for sale this well presented and spacious end terraced house located on Cronton Road which can be accessed from Kenyon Road. This area is highly sought after, having access to a wealth of amenities on Allerton Road, including shops, wine bars and restaurants. There are frequent bus links allowing easy access to the city centre and excellent local schools. The property is well presented and in brief comprises of an entrance hall, open plan lounge/dining room, and kitchen to the ground floor. Upstairs there are three well proportioned bedrooms and a modern bathroom. Outside is a well presented rear yard with seating. Sold with no onward chain, viewing is essential.